While making of films in African languages will refocus, reengineer and reposition them and save them from extinction, it also will expand the coding, documentation, and communicative capacities of the languages. Making of films in indigenous languages will facilitate the linkage of Africans in Diasporas to their roots and project the rich tourism potentials in Africa. Governor Olusegun Mimiko, who opened the festival, said “there is no way we can engineer social development if it is not rooted in our culture”. Many African languages, including Yoruba which is spoken by millions of people along the West African coast, are already in danger and will become a threatened language. If it is the indigenous language films that will rescue our languages from that tragedy of eventual extinction, then, rather than crucify the film makers, let us salute them. It struck me a few years back that we have to secure our place in the league of indigenous language filmmakers. 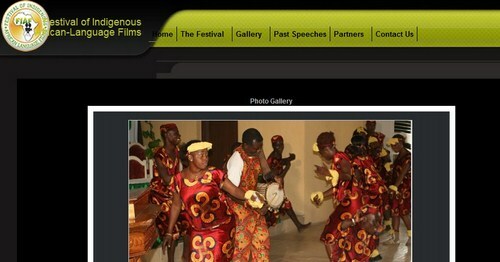 What provoked my commitment is that Igbo language is lost on our screens and theatre. Look at most of the cable stations, there are Hausa and Yoruba language channels, but none for Igbo, yet some Igbo filmmakers fund most of the films produced in the country today. What I am doing is borne out of passion to give Igbo language film a voice.